At the end of Year 1, all pupils take a phonics screening check. Pupils who do not achieve the expected standard at the end of Year 1 have a chance to retake the test in Year 2. 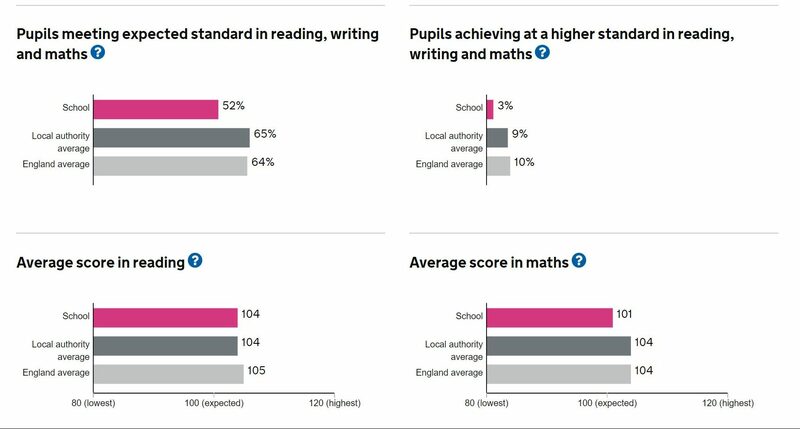 The chart below shows how our pupils performed in phonics compared with schools nationally. For reading, writing and maths in Year 6, each school was also awarded a progress score. A score of 0 or more means the school is performing as well or better than other similar schools nationally. A score of less than 0 means the year group as a whole did not make as much progress as similar schools nationally.